Fig. 27. Part of the Avalon baseball team. From left to right: John McGeehee, manager; Sherman Reynolds; Unknown; Charlie Griffin; Robert Troy Shropshire; and George Meadows Suttenfield. In 1977 Ola Maie Foushee, a native of Avalon, published her book Avalon: A North Carolina Town of Joy and Tragedy. Her book still stands as a valuable resource and tribute to the Avalon Village. 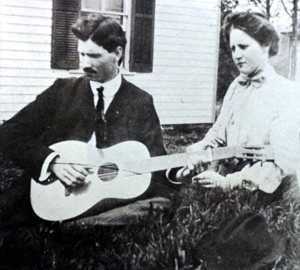 Foushee was a daughter of Emmett and Callie Suttenfield. Emmett worked in the mill as overseer of mule spinning.1 In her book, Foushee shares interesting memories of her own and many shared by others. The book provides us with insights as to what it must have been like to reside in the village of Avalon. In many ways, life in mill villages was tough. It was said that the population of the village was unstable. Lots of folks came and went while others stuck it out for the duration. Regarding the work situation, it's likely a number of those drawn to the village didn't know what they were getting themselves into. Perhaps some found it hard to adjust to the routines of mill life. Those who stuck it out made the best of the situation and refused to allow it to dampen their spirits. When workers weren't in the mill they found time for well-deserved rest and recreation. 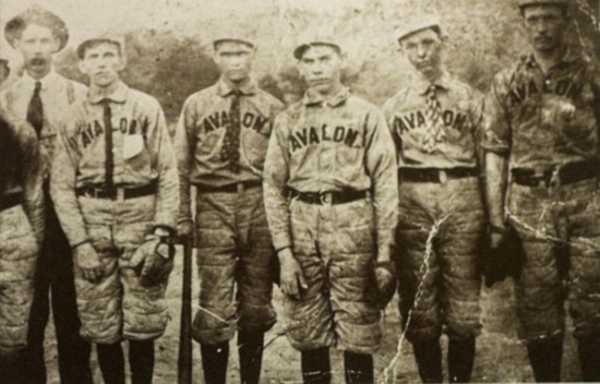 Avalon had a competing baseball team — it was rare to find a cotton mill village in the South that didn't. The teams were company organized and competed against the teams of neighboring villages. For both the players and the villagers, the games were big events. On Sunday afternoons, workers cheered as their teams took the field. The winning team had bragging rights and stories to reiterate all week. For the company, the ball teams helped boost employee morale. To this day, many textile mills still have their own ball teams. Fishing and hunting provided a diversion as well as supplemental food for some villagers. William Poole, who ran the company store, would put baskets in the river above the dam to catch fish. Every week he would collect his catch by the tubs full and take them back to the village. Instead of selling his catch he shared the fish with his fellow villagers. Fig. 28. The Avalon barber shop. 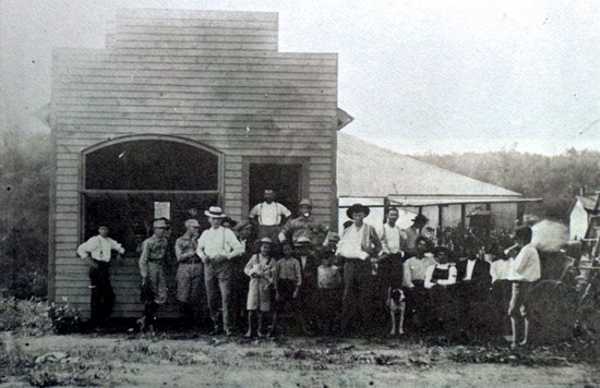 The menfolk found the barber shop to be a great place to hang out.2 A source suggests that Andy Joyce did barbering there.3 A hang-out place for both the men and women was the brick store building. The second floor of the store provided ample room for bowling as well as roller skating. Roller skating was popular with a number of the villagers though some of the parents disapproved of the daring sport.4 Mayodan also had a skating rink which was frequented by people from Avalon. Fig. 29. 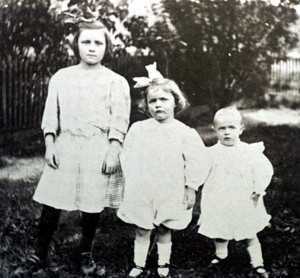 Mary, Nina, and Irene Hege. Photo by, Emmett Suttenfield. On a lazy fall afternoon, with romance in the air, young couples could be found courting near the dam. At a distance away from the mill, the couples enjoyed the dam's peaceful setting accented by gentle breeze and the sound of the rushing river. Trees with leaves turned to magnificent colors provided for a majestic backdrop. For the couples, the routines of mill life must have seemed so far away. For C.B. Daniels and Emmett Suttenfield photography was a favorite pastime. Many of photos taken at Avalon were attributed to the two photographers. Little did they know many of these photos taken with primitive cameras would still be here today. With all the people who lived and visited Avalon, there are bound to be more photos hiding in dusty boxes — waiting to be found. Fig. 30. Emmett Suttenfield courting his future wife, Callie Keaton. Sunday School teachers organized annual picnics and Easter egg hunts. Early picnics were held near the dam or at the river's edge. Later, a large area was cleared for the villagers to use.8 For the new area, picnic tables and swings were built. 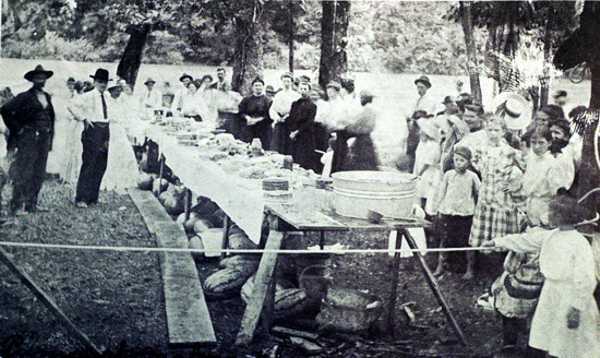 In a photo of the first picnic at the new area, villagers gathered around a long table eagerly awaiting the photographer to take a picture so the feast could begin. The table was covered from end to end with cakes, dishes, and a giant tub of punch. Beneath the table, capturing the attention of the younger villagers, was a row of more than a dozen watermelons. Perhaps they had been chilled in the river. Without a doubt, it was a busy day for the women of Avalon. For all the villagers, it must have been a fulfilling event to be remembered for years to come. Fig. 31. First picnic at the Avalon picnic area. 1. Foushee, Ola Maie, Avalon: A North Carolina Town of Joy and Tragedy (Chapel Hill, NC: Books, 1977), 21. Fig 27 - Unknown, Avalon Ball Team (1900-1911), Location, Avalon, NC, Image [from Avalon: A North Carolina Town of Joy and Tragedy (Chapel Hill, NC: Books, 1977), 47]. Fig 28 - Unknown, Avalon Barber Shop (1900-1911), Location, Avalon, NC, Image [from Avalon: A North Carolina Town of Joy and Tragedy (Chapel Hill, NC: Books, 1977), 45]. Fig 29 - Unknown, Hege Sisters (1900-1911), Location, Avalon, NC, Image [from Avalon: A North Carolina Town of Joy and Tragedy (Chapel Hill, NC: Books, 1977), Preface, X]. Fig 30 - Unknown, Emmett Suttenfield and Callie Keaton (1900-1911), Location, Avalon, NC, Image [from Avalon: A North Carolina Town of Joy and Tragedy (Chapel Hill, NC: Books, 1977), 55]. Fig 31 - Unknown, Avalon Picnic Ground (1900-1911), Location, Avalon, NC, Image [from Avalon: A North Carolina Town of Joy and Tragedy (Chapel Hill, NC: Books, 1977), 72].